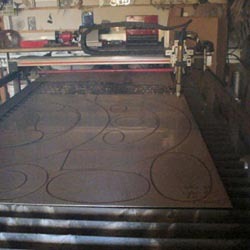 CNC Plasma at its finest. Custom Work - Sinage - Production - Decor. Design - File Conversion - Shape Creation - Nesting. Your ideas brought to life in metal.